We have established an external advisory group of key stakeholders to oversee the project. They will be responsible for overseeing the arrangements for the project, monitoring the applications for investment support and making recommendations on those to be funded. Sheila Scott is Chief Executive of the National Care Association. She is a qualified nurse and in the 1980s was the proprietor of residential care homes for the elderly in North London. As Chief Executive of National Care Association she represents the interests of registered social care providers to Government, implements policy on improving standards in the social care sector. 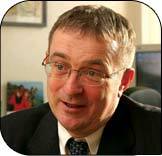 John’s background is in adult social care service provision; having worked in the voluntary and statutor sectors. Since 2005 he has been General Secretary of the Voluntary Organisations Disability Group (VODG) and until recently also the Chief Executive of HemiHelp, a small national charity for children with congenital hemiplegia. John is a Social Worker by training and was a long-serving Director of Operations at Scope. David has spent his career working with information and technology for not-for-profit organisations - his experience spanning research establishments, universities, local authorities, consultancy, the NHS and major UK charities. David has held senior research, lecturing and management positions, most recently as the Director of Strategic Information for The Salvation Army in the UK and Ireland. Gaynor joined London Funders in October 2007 as its first director. Before that, from 2003 she worked in Brussels as the Executive Director of WINGS (Worldwide Initiatives for Grantmaker Support), the global network of grantmaker associations and other organisations supporting and promoting philanthropy. For the preceding ten years Gaynor was Chief Executive of Community Foundation Network, supporting the development of UK community foundations. Ronald Morton has worked in a range of policy and operational roles in a number of Government Departments, prior to moving into social care regulation in 2002. Ronald is currently a Strategy Manager in the Care Quality Commission, with a particular focus on workforce issues; the future of social care; and improving quality and outcomes in health and social care. John Wallace was trained as a teacher and taught in mainstream schools for 16 years. He then moved to be Deputy Principal (Education) in a Children’s Centre where he shared mangement responsibility for the whole establishment ( including a 6 bed secure unit). On its closure in 1993, he was redeployed into Social Services HR and in 1998 became Social Services Training Manager ( and subsequently Employee Development Manager) for Bedfordshire County Council. He took early retirement and Voluntary redundancy at the end of 2001. Since then he has worked as an Independent Social Care Workforce Consultant with a number of local authorities and other organisations, particularly in the Thames Valley, particularly supporting the Private, Voluntary and Independent Sector in accessing funding for Training. He oversees the Log on to Care e-Learning project across the Thames Valley. This project won a Skills for Care Accolade in 2006 as the most innovative training initiative. He is Treasurer of Learn to Care, an organisation which supports Workforce Development Managers in local authorities. John holds a degree in Classics from Cambridge University and a Masters degree in Human Resource Management from the University of Luton. Susan joined NIACE in 2003 to carry forward NIACE’s work in digital learning, digital inclusion and the development of innovative approaches to participation in learning. She currently manages “Get Digital” - a national project to promote the digital and social inclusion of older people in sheltered housing. Before joining NIACE, Susan worked for over 20 years in the school, FE, Youth, Higher and adult education sectors. This was followed by 12 years’ experience in national organisations, where she developed a national strategy and managed the rollout of technology to Adult and Community Learning; developed an innovative learning programme to help excluded and vulnerable young people re engage in education through the use of technology; developed a national programme for digital inclusion in families and supported the development of community learning centres across Scotland. Terry's biography will be updated here soon.